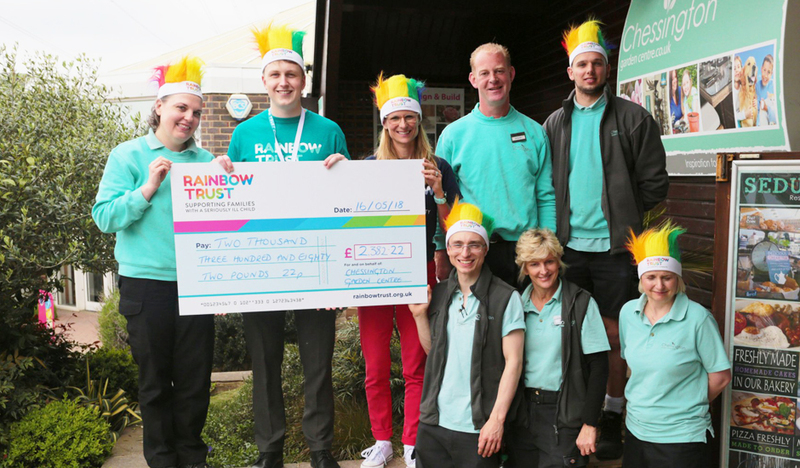 At Rainbow Trust we have a team of dedicated Regional Fundraisers, ready to help you raise funds to support seriously ill children and their families. From dealing with your enquiries and helping you to make the most of your fundraising, Ioan (pictured above second from left) is on hand to help. I joined Rainbow Trust in April of this year. My main job involves assisting individual enquires and guiding people through their fundraising journeys, all while supporting the rest of the Regional Team and representing Rainbow Trust at events throughout the year (e.g. London Marathon, Berkshire Golf Day etc…). I’m also out and about a lot, often collecting money that you’ve raised and helping to build relationships with our supporting businesses. Although I’ve only been here a month or so, I’m really enjoying working with individuals who want to fundraise for Rainbow Trust. It’s amazing to see the support the charity receives, especially through the more outside-the-box ideas! At the moment, my main challenge is learning the systems we use, as I’m still quite new! However, the team are all exceptionally helpful and I’m really enjoying my job so far. If you or an organisation you are linked to is interested in fundraising for Rainbow Trust, then I would love to hear from you. You can get in touch by calling 01372 220002 or email me here.